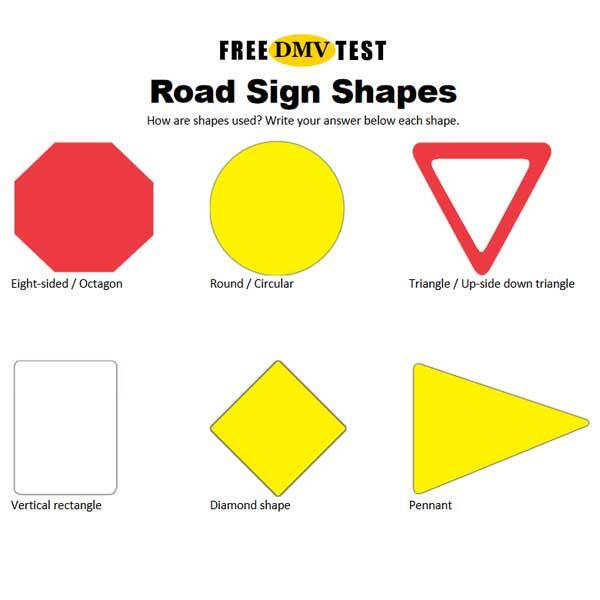 Road signs are an important part of the DMV test for your learner’s permit or State Driver’s License. 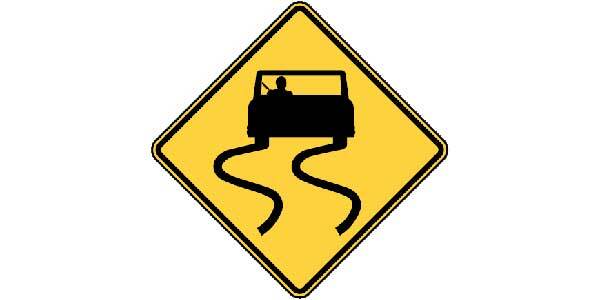 Not only must you recognize and understand the meaning of all the signs listed in your driver’s manual. You should also know the basic meaning of all the shapes and colors used on road signs across the United States. Being able to recognize road signs from a distance by just the shape or color coding, can help in many situations. Learning how to read a road sign and understand how to act – regardless if it is a warning sign, guide sign, or a regulatory sign – is essential for road safety. 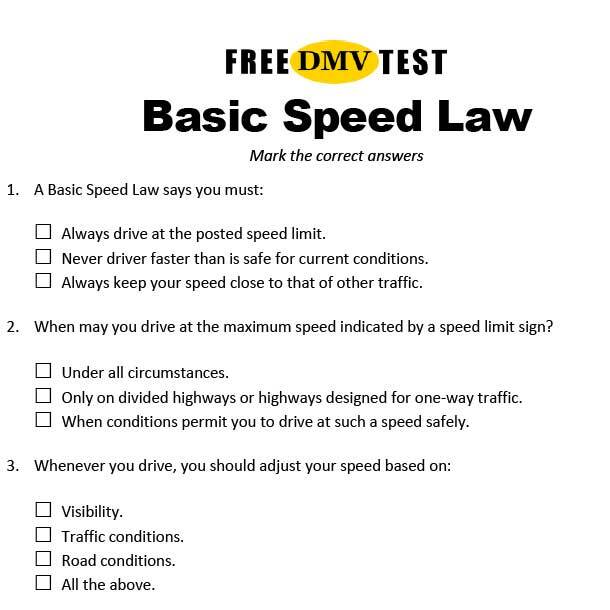 Even if you driver’s manual only lists a limited number of signs (out of which a few will appear on your test), you are responsible to obey and follow all road signs you encounter on the road. The following cheat sheet is a good start to learn some of the most common signs. See if you can answer all of them correctly. ANSWER: C. School crossing. 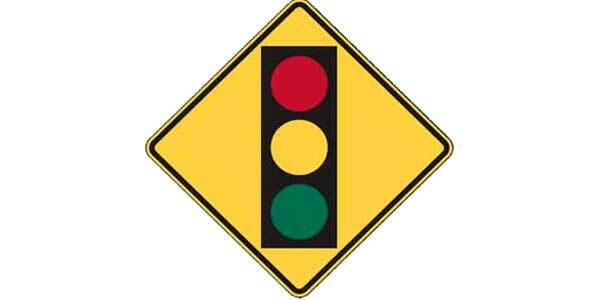 These signs can be yellow or fluorescent yellow-green. Be prepared to slow down or stop when you approach this sign. 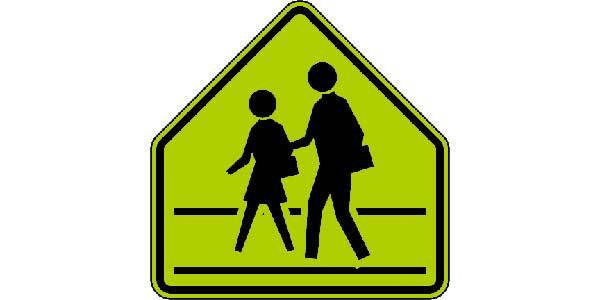 A similar sign without the parallel lines warns of a school zone. 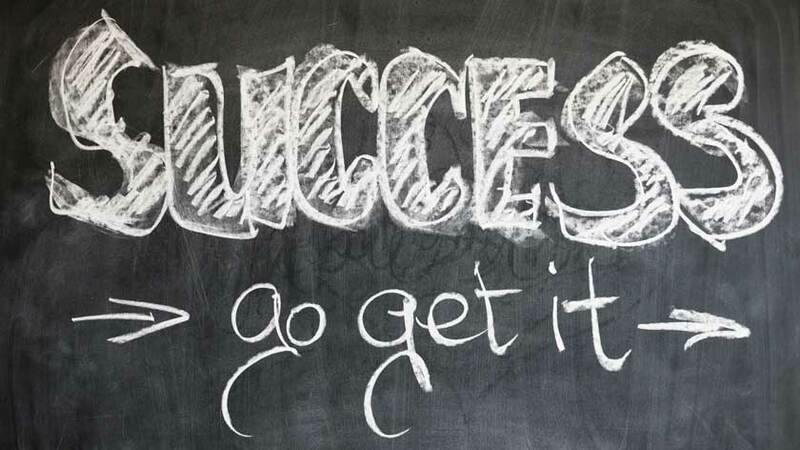 Question 2: What should you expect ahead? ANSWER: A. The sign warns of a traffic signal ahead. You should slow down and be prepared to stop, if necessary. ANSWER: C. The Added Lane sign tells you that two roadways come together, a new lane begins, and that merging movements aren’t required. ANSWER: B. 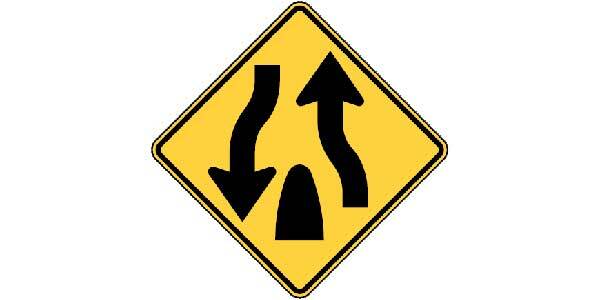 Two-way traffic. 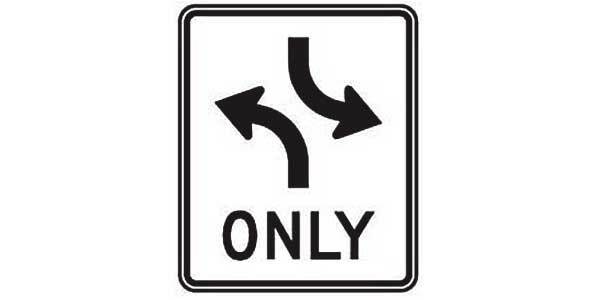 The sign warns you of a transition from a multi-lane divided section of roadway to a two-lane, two-way section of roadway. Keep well to the right. 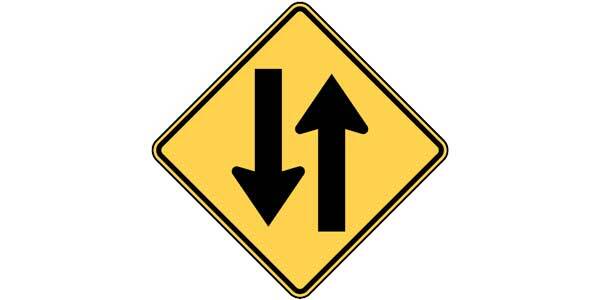 ANSWER: C. The One-Direction Large Arrow indicates a sharp turn. 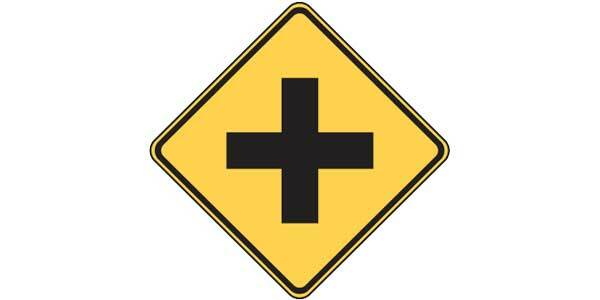 The sign has the same meaning as warning signs with black chevrons. 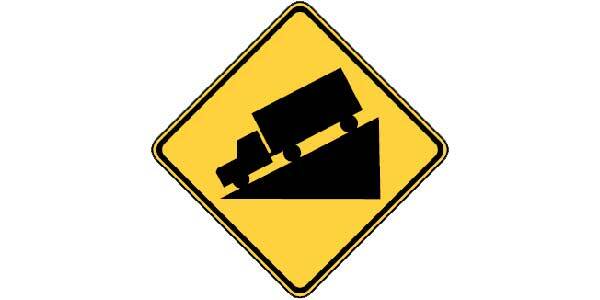 Question 7: What does this road sign mean? ANSWER: A. This sign warns of unexpected slippery conditions. Supplemental plaques with legends such as ICE, WHEN WET, STEEL DECK, or EXCESS OIL may indicate the reason that the slippery conditions might be present. 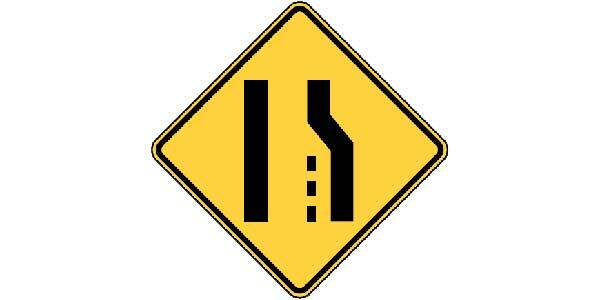 ANSWER: D. This sign tells you that there is a reduction in the number of traffic lanes. The right lane ends. 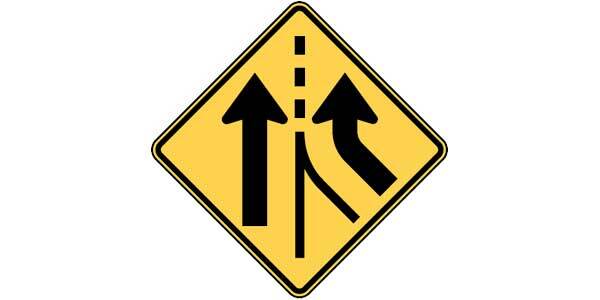 If you are in the right lane, you must merge left. 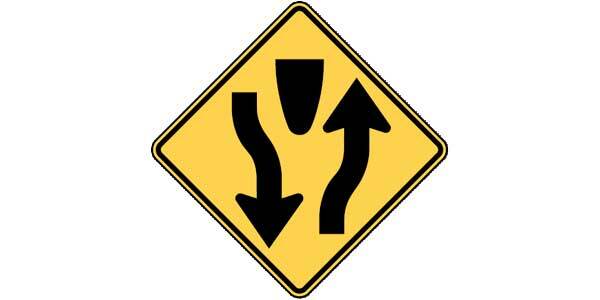 If you are driving in another lane you should be prepared for traffic merging from your right. ANSWER: B. 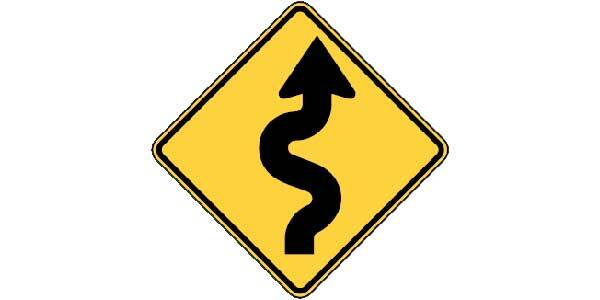 The Winding Road sign tells you that there is a series of curves or turns ahead. Note that there are three or more changes in roadway alignment. ANSWER: A. The Stop Ahead sign warns of a stop sign ahead. 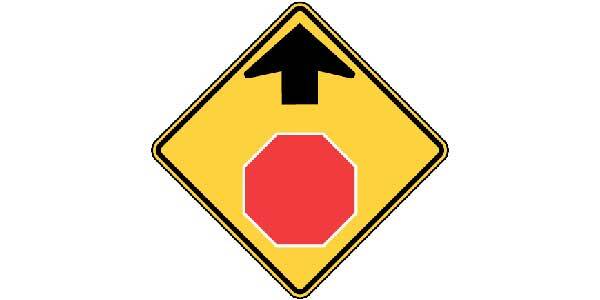 It is placed where it can be hard to see the stop sign from a comfortable distance. You must come to a full stop at the stop sign. Go only when the way is clear. ANSWER: C. A physically divided highway ends. The sign tells you to expect two-way traffic ahead. ANSWER: A. When you see the Divided Highway sign, you approach a section of highway where the opposing flows of traffic are separated by a median or other physical barrier. Note the difference between this sign and the sign in question 11. They are NOT the same. ANSWER: B. The Hill sign warns of a downgrade where the length, percent of grade, horizontal curvature, and/or other physical features require special precautions. ANSWER: A. The Flagger symbol sign tells you that a flagger is stationed to control road users ahead. 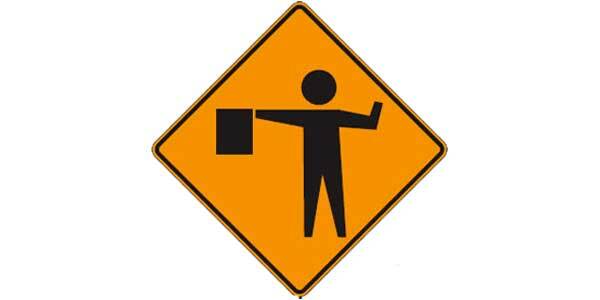 Remember that orange road signs indicate a work zone. Regulatory signs indicate rules you must obey. 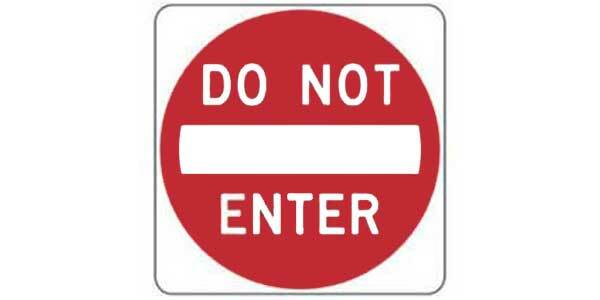 ANSWER: D. The Do Not Enter sign is placed where traffic is prohibited from entering a restricted roadway. It faces you when you might enter a roadway or ramp in the wrong direction. Do not continue in this direction. ANSWER: A. The Keep Right sign shows a place where it is necessary for traffic to pass only to the right-hand side of a roadway feature or obstruction. ANSWER: B. 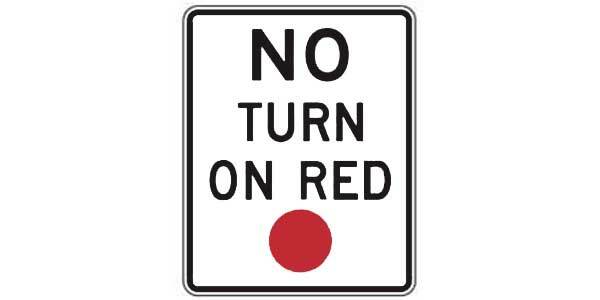 You may not turn right or left during the red light where this sign is posted. You must wait for a green signal before proceeding. ANSWER: D. This sign tells you that the center lane is reserved for the exclusive use of left-turning vehicles in either direction. The lane cannot be used for passing, overtaking, or through travel. 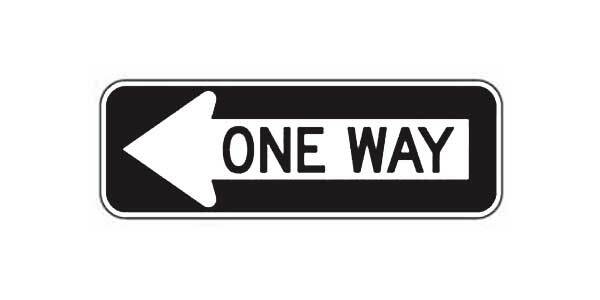 ANSWER: C. A One-Way sign tells you that traffic on that intersecting road flows in the direction of the arrow only. 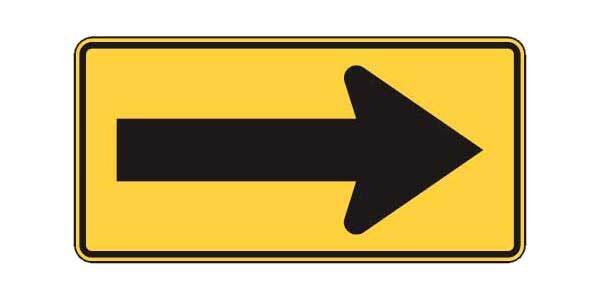 If you turn, you may only drive in the direction of the arrow. Never turn against the arrow. Question 20: Where can you expect to see this sign? ANSWER: A. 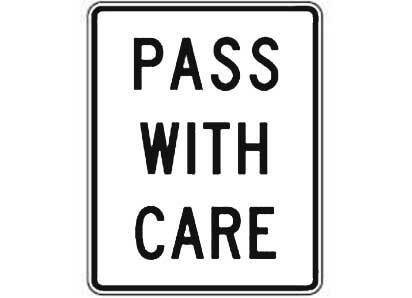 The Pass with Care sign indicates the end of the no-passing zone. 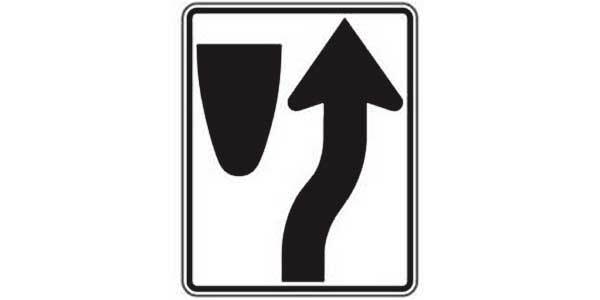 When you have passed this sign, you are again allowed to pass other vehicles with care. Illustration credits: Xzelenz Media and Gerd Altmann (blackboard).